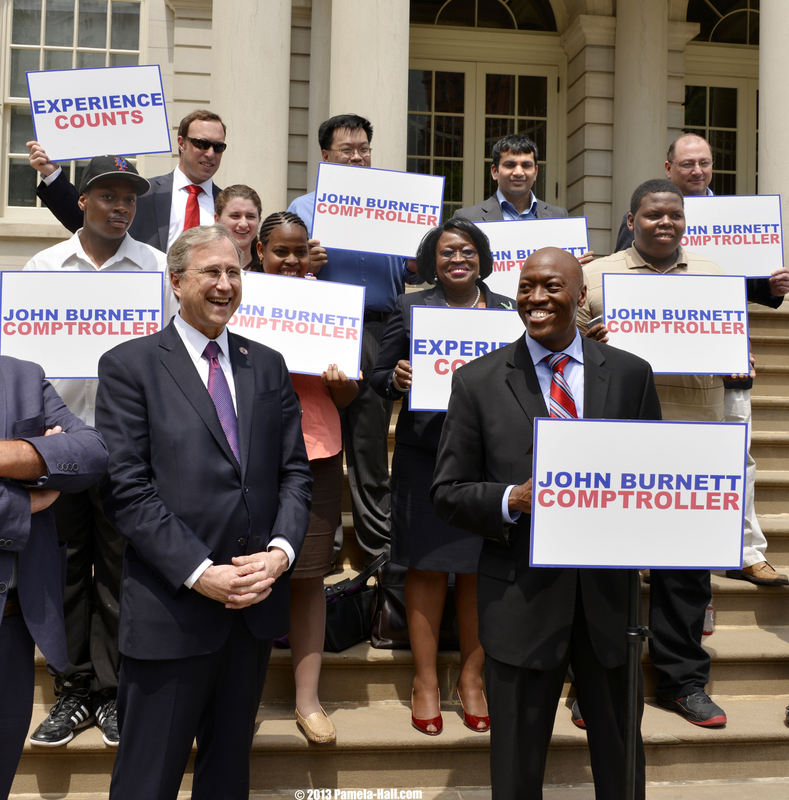 On Thursday, June 27, 2013, Republican Wall Street veteran, John Burnett, announced his candidacy for New York Comptroller in front of NYC's City Hall. Burnett then formally announced that he is ready to jump into the race. 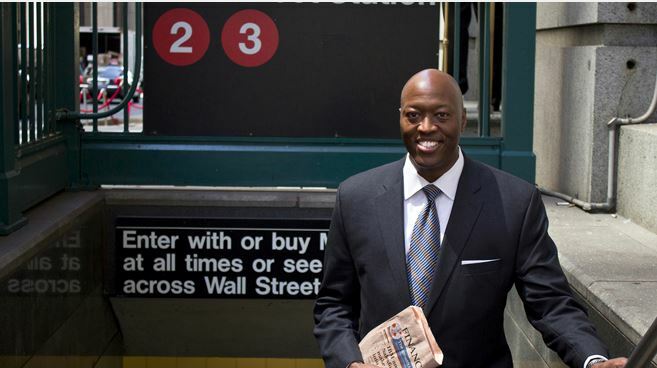 Republican John Burnett, 43, is a Harlem resident who went from working a cash register at Pathmark to overseeing wealth managers on Wall Street. He is a member of the state GOP’s African-American Coalition and has most recently been an advisory board member of White Wolf Capital, a private firm specializing in “management buyouts, re-capitalizations and investments in leading middle market companies. Prior to that, Burnett worked with Platts, a division of McGraw-Hill, last serving as director of risk and compliance and spent 20 years as an auditor for major banks. 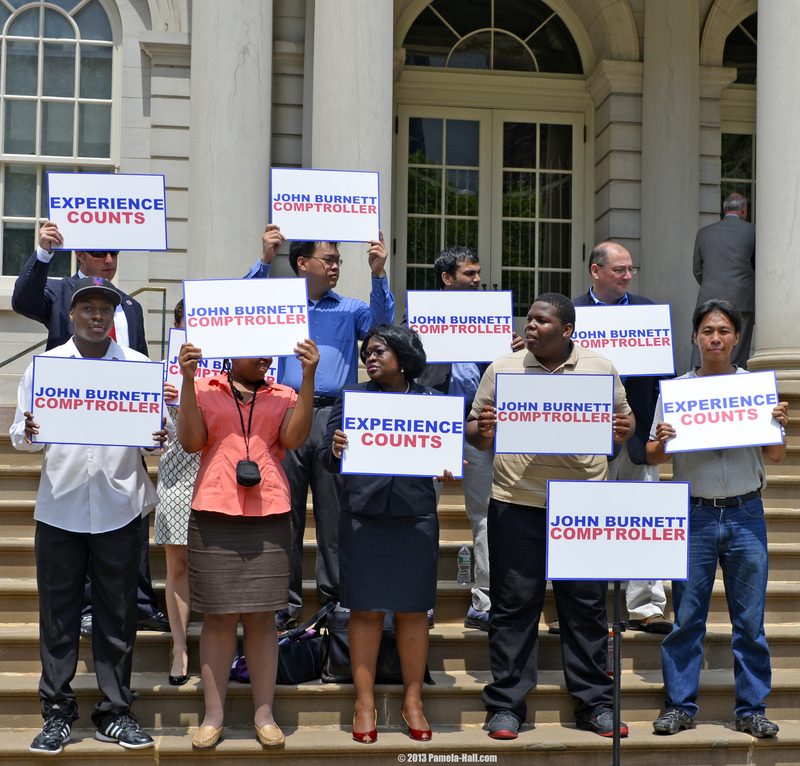 This is John Burnett, the man now running full-time for Comptroller of NYC. 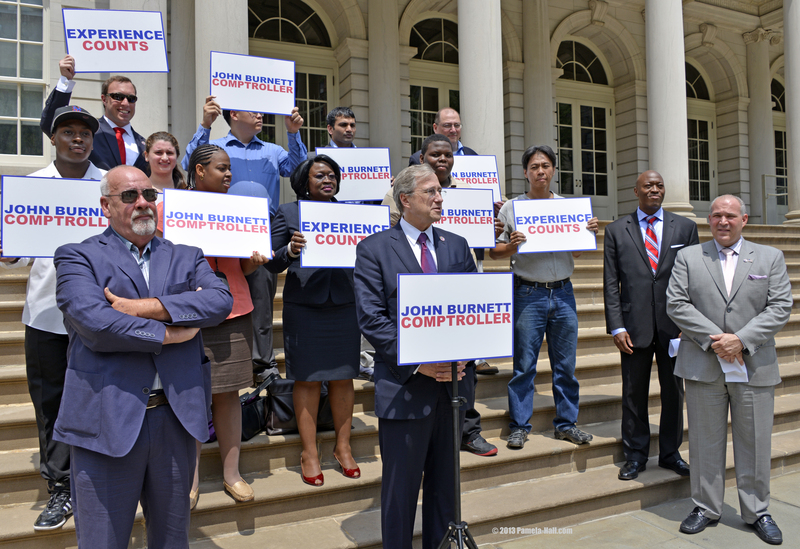 Burnett is more than qualified for Comptroller but Democrat enrollment in the city outstrips GOP registration by more than six to one, so Burnett likely faces an uphill fight for votes and donor cash in a race against Scott Stringer, the Manhattan BP who cleared the field after dropping down from the mayor’s race. The New York City Comptroller is the Chief Financial Officer of the City of New York. The office requires a trustworthy professional that is independent and has experience in portfolio investment management, audit, compliance, contract administration registration and oversight, as well as matters that relate to the City’s operations and financial transactions. 4. Manage a professional staff of approximately 700 employees. These employees include accountants, attorneys, economists, engineers, budget, financial and investment analysts, computer analysts, claim specialists and researchers in addition to clerical and administrative support.
" 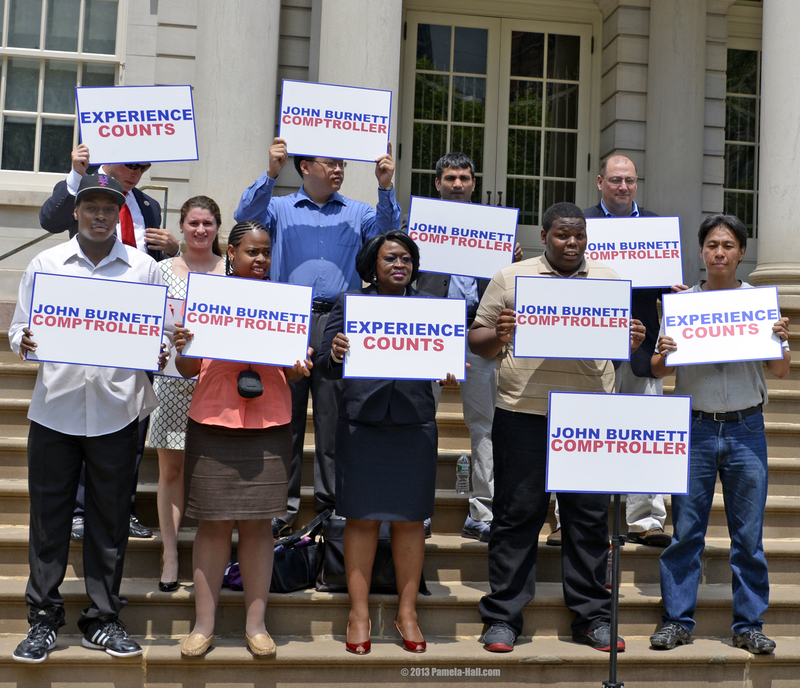 As Comptroller of New York City, I will execute my duties and responsibilities in an ethical manner to safeguard the financial health of the City. I will advise the Mayor, the City Council and the public in a transparent and timely manner." "he vows to create jobs, to see that minority and women-owned businesses get a fair share of city contracts and to reform the public pension system." Regarding pensions, Burnett has also said, “My first experience as a 'union guy' was as the child of union-member parents". investigating the cost-saving potential of merging the city’s five public-worker pension systems into one. As the father of a 19-year-old daughter, he also promises to create a more hospitable environment for small businesses in a city where black and Latino unemployment outstrips that of whites. Burnett takes pains to demonstrate that he’s not all about big money and says he stays engaged in the community through the Harlem chapter of his fraternity, Alpha Phi Alpha, and as a member of the board of the Urban Resource Institute. Burnett also served as treasurer of the area’s subcommittee of The Martin Luther King, Jr. National Memorial Foundation. “Hijabs are Us” (or not) In a Store near you?